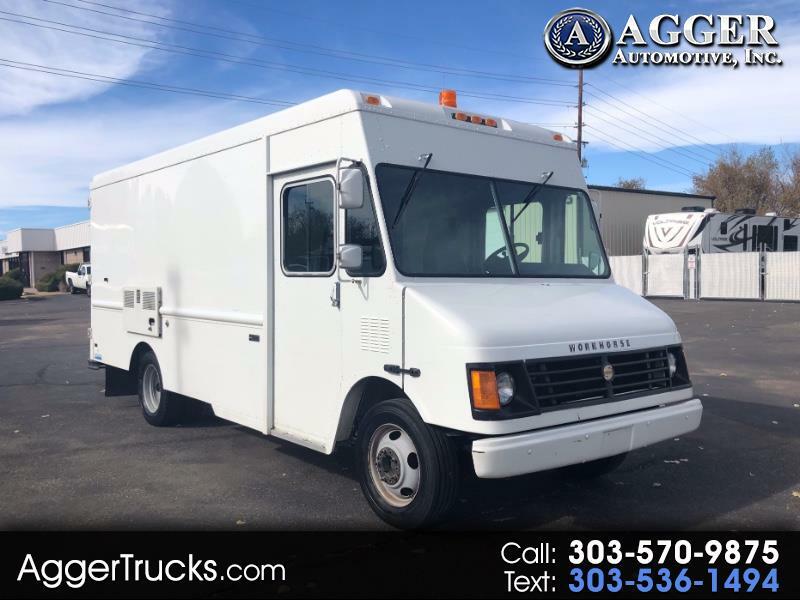 Used 2002 Workhorse P42 for Sale in Denver Commercial Truck CO 80110 Agger Automotive Inc.
For sale is this 2002 Workhorse P42 Stepvan is a one owner vehicle from the City of Aurora, CO. This vehicle comes equipped with a Cummins Onan 120V Commercial Generator, dual rear axle, RS Technical Services Camera Controls, sewer pipe inspection crane and cable (camera NOT included), reverse camera (screen included), 5ft work table, desk area for computer use (approx. 6ft), self contained electrical system, and a clean title. Brand new tensioner and driver belt on the Onan generator. This step van has been fully serviced, with service records provided upon request. Message: Thought you might be interested in this 2002 Workhorse P42.